Now, any organization with a limited IT staff and budget can quickly and inexpensively create a highly-secure wireless LAN (WLAN) — with ZoneDirector 3000. Capable of centrally managing up to 500 ZoneFlex 802.11g and 802.11n Smart Wi-Fi access points (APs), ZoneDirector 3000 is designed for ease of use, high performance, and low cost of ownership. 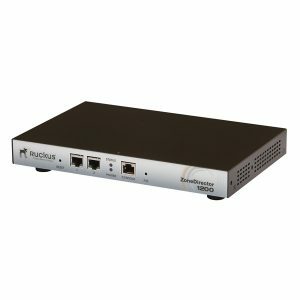 Provides WLAN-wide network, security, RF, and location management.